Replacement 2-point Chinstrap GH1 accessory for 3M PELTOR G3000 Safety Helmets. It is made of ABS and so only weighs 340gm. 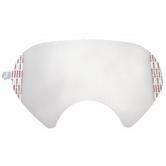 With deep-drawn neck part and relatively flat profile, it impresses with its high level of comfort. The "Uvicator" sensor measures the received UV radiation (from the sun): The red dot indicator then fades over with time and slowly turns white. If the Uvicator sensor is completely turned white, then this indicates that helmet has received the highest tolerable radiation: so it is time to replace the helmet. Certified to EN 397, suitable for use in very low temperatures (-30C). It exceeeds the EN norms for Lateral Deformations (LD) and for molten metal spalsh. 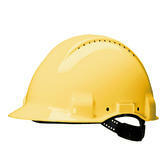 The 3M Safety Helmet G3000CUV-GU has been designed in close collaboration with forestry and industrial workers. It is intended for use in harsh environments with tough demands for effective protection, excellent ventilation and a maximum field of vision. 3M Peltor G3000CUV-GU Safety Helmet complies with EN397 safety standards. 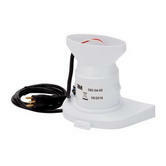 It is mounted in an intuitive and easy way. 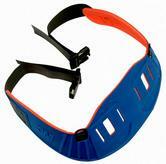 Visor Carrier / Brim V43 900 for V4 Series visors for 3M V4F System. 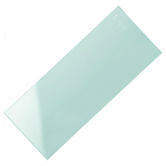 Polycarbonate visor - EN166:3:9 optical class 1, medium energy impact B, liquid splash 3 and molten metal 9. 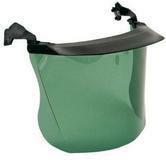 This green face shields provides effective splash protection from the front and side, while the forehead shield and the angle of the visor minimize reflections that causes unwanted glare. Made from Polycarbonate for the best possible impact and scratch resistance. 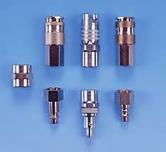 Ideal for use in Gas soldering and in smelting plants. The Speedglas inner cover plate 528015 for Speedglas 9100X is designed to protect the inside surface of the filter from spark and spatter. 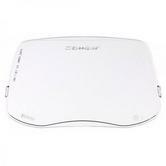 You need to use this cover plate, because failure to use an inside protection plate with the filter voids the warranty. If spatter or sparks cause damage to the glass your warranty is over. You need regularly clean cover plate with a soft cloth and replace if any pits or scratches occur. Kit of 10 replacement for 3M 9100 screen for when it becomes pitted or too hard to clean. 3M™ Speedglas™ 9100 extra scratch resistant outside protection plate is designed to protect the filter from spark and spatter. Failure to use an outside protection plate with the filter voids the warranty if spark or spatter contaminates the glass. Replace anytime the plate becomes deeply pitted, scratched or too dirty to clean with a soft cloth or lens paper. Protects the filter from damage. Consumable part for 3M™ Speedglas™ Welding Helmets. 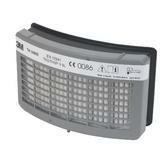 3M 527001 Speedglas 9100 Outer Lens conform to: EN166:BT standards. This Speedglas 9100 Standard Outer Protection Plate. It's designed for use with the 3M Speedglas 9100 Air Welding Helmet. Extend the lifespan and efficiency of your 3M Speedglas 9100 welding helmet with this outside cover, it will protect the outside of your auto-darkening lens from sparks and splatters. It is recommended to replace outside cover lenses once to twice a week depending on use. Pack contains 10 Standard Outer Protection Plates. 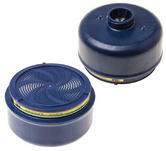 The Speedglas 100 outside protection plate is designed to protect the filter from spark and spatter. HYX3 Hygiene Kit contains replacement sealing rings and muffler pads. Hygiene Kit for the 3M Peltor X3 Ear Muffs can be replaced in a few easy steps for quick and easy installation. Avoid wearing uncomfortable earmuffs, it is good practice to inspect and maintain your ear defenders at least twice a year. 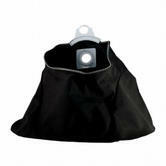 The 3M 6885 is a disposable lens cover for the 3M 6000 series full face respirators. Made of crystal clear mylar, it attaches to the lens with peel off adhesive tabs on each end. Useful in protecting the relatively expensive lens from scratches or overspray from painting. When you feel that the lens cover is used up, it may be peeled off and disposed of. Putting a fresh cover on will keep your lens clean and clear. Genuine 3M Filters - Easy to Fit to Jupiter Turbo Unit - Approved to EN12941 class. (B) inorganic gases and vapours. (K1) ammonia and its derivatives. The 3M Aircare Filtration Unit provides high quality air from an external source of compressed air by removing water and oil droplets, solid particles and odours. The unit removes condensation and contamination from within the air system before it is delivered to the user. 3M quality Breath Tube Cover for respiratory systems. 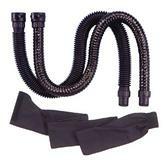 You can extend the service life of the breathing tube by using a QRS tube cover. P3 filter with nuisance level organic vapour relief. Suitable for providing respiratory protection from particles and dealing with dusts, mists, fumes and aerosols produced in workplace situations, such as manufacturing, pharmaceuticals, food processing and welding with a suitable welding shield. Compatible with the modular 3M Versaflo Powered Respirator and 3M Jupiter Powered Respirator systems. Made from Polyurethane Coated Knitted Polyamide. 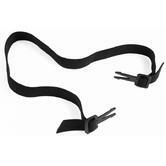 3M Versaflo M-444 Inner Collar with Four Point Textile Straps. Replacement 3M motor assembly for 3M Airstream AH1 Respiratory Systems. Standard motor housing assembly with cable. 3M helmets are certified to EN 397 safety standard. The clever, distinguishing feature of all 3M Peltor helmets (including the best selling 3M G3000) is the "uvicator" which changes colour when the helmet has been exposed to too mcuh sun (which can age/damage the shell). This lets you know to replace your helmet before it becomes structurally weak. The 3M Peltor G3000 Solaris Forestry helmet kit has been designed with forestry in mind, having the screen mesh adn ear defenders attached to the G3000 helmet. It is certified to En 397, En 166 and En 1731.